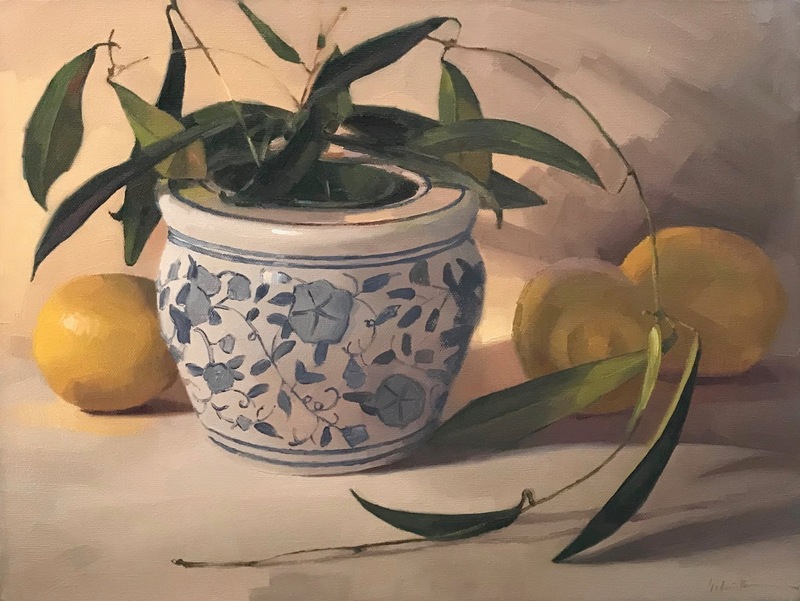 A fun, colorful painting from my Still Life Open Studio earlier this week. 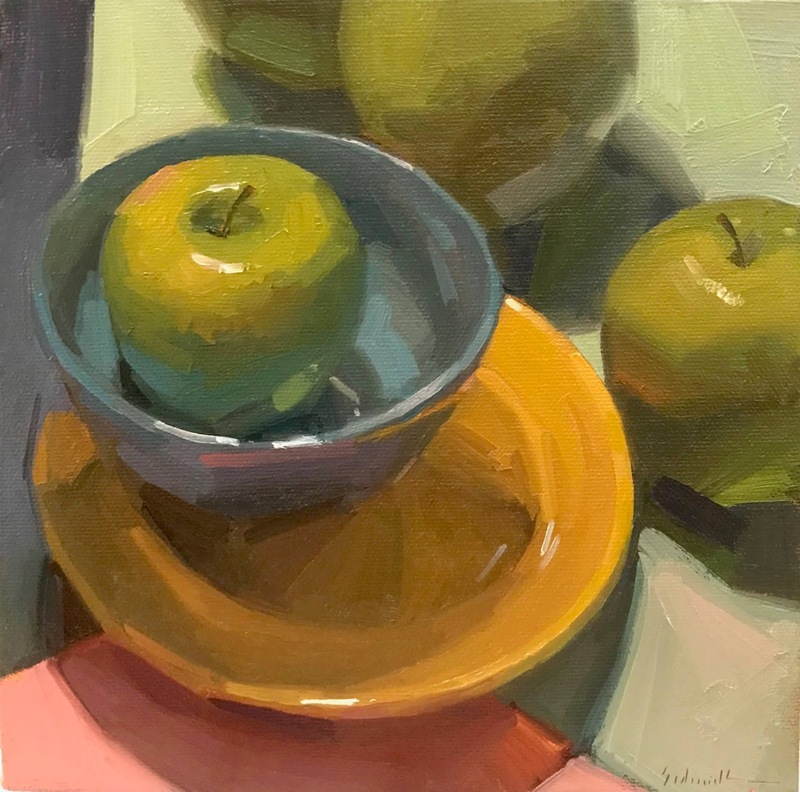 Just reveling in thick, juicy paint, and the interplay of colors - like that turquoise reflection on the apple in the bowl. Yum! Pretty in pink - and white! 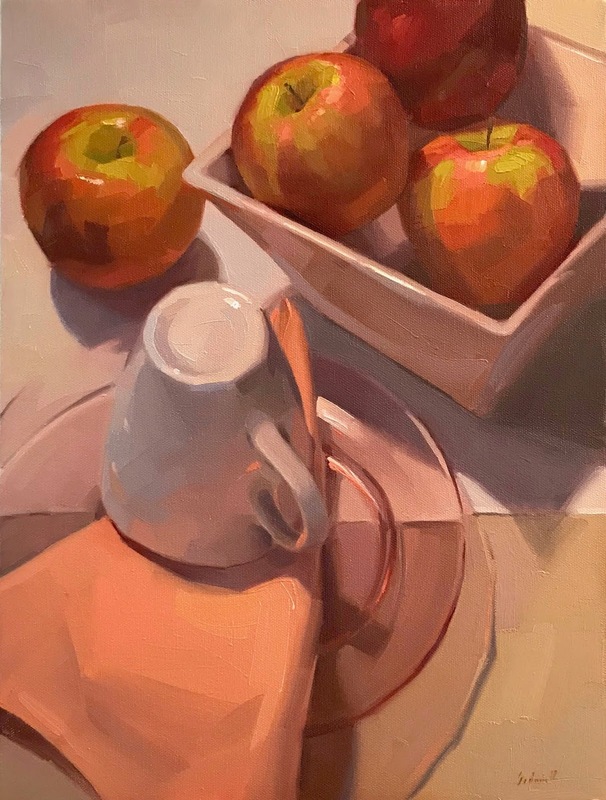 There's some luscious thick paint on those apples. Click the image to zoom way in! 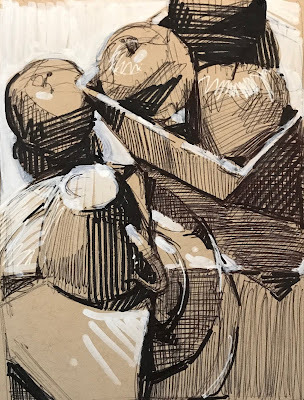 Here's my sketch - sharpie, ballpoint pen, and white marker on tan paper. These really help me plan my composition and value structure. Blue vines on the bowl, green vines in the bowl! Love this little Hoya plant. It has so much movement and liveliness about it, and almost grows before my eyes.